What’s The Role Of Viruses In The Development Of Multiple Sclerosis? While the exact role viruses play in the development of multiple sclerosis is yet to be determined, it is known that they correlate in some way, especially the strains of herpesvirus that cause Epstein-Barr (mononucleosis) and potentially chickenpox. Multiple sclerosis has long been a source of contention for researchers, with the exact causes and triggers to the disease remaining elusive. That’s bad news for patients longing for something more than a temporary treatment to ease the symptoms and slow progression. Without an answer as to how multiple sclerosis is caused, finding a cure is next to impossible. However, as with some other autoimmune diseases, much research has been focused on a link between viral triggers and MS. What’s the role of viruses in the development of multiple sclerosis? That’s a touchy subject, but there does seem to be a connection in some ways. While research continuously points toward a connection between viruses and multiple sclerosis, as a possible trigger, this can only work if the initial environment is right. For example, a thousand tons of snow could be dumped in the Bahamas, but that snow would melt because the environment doesn’t support it – the air is too warm. While none of these risk factors of MS are a guarantee that a person will eventually develop multiple sclerosis, the greatest risk lies with these individuals. Add to that a history of certain types of infections, and the ultimate cause of MS being triggered becomes a little clearer. Not all infectious diseases seem to have a link that could be the trigger of the autoimmune reaction causing MS. However, researchers have found that some antibodies that attack the white matter (myelin) in the central nervous system could be initially created in an attempt to stave off a particular strain of viruses that never leave the system. Studies now are highly focused on Epstein-Barr, a herpes virus that causes mononucleosis in teens and people in their early twenties, as a potential trigger for MS. The related herpes virus that causes chicken pox could also be a factor. Epstein-Barr causes mono, which can take a teenager or twenty-something down for weeks. However, when contracted by smaller children, it often presents as nothing more than a bad cold, perhaps with some flu-like symptoms that resolve fairly quickly. About nine out of 10 people are affected by Epstein-Barr at some point, a very high percent of the population. Why is this of interest in the MS community? Because nearly one hundred percent of individuals with MS have had exposure to Epstein-Barr. And this is known because this herpes virus never leaves the body. Therefore, it follows that the body retains some antibodies to the virus. One theory is that the antibodies attacking the myelin in the central nervous system are very related to those that are created to combat Epstein-Barr (or even other herpes virus strains like chickenpox). Some scientists propose that there may be a similarity in the makeup of myelin to the viruses, which prompts the attack by those antibodies. While it seems that those who have been exposed to EBV (Epstein-Barr virus) or varicella zoster (the official name for chickenpox) are more at risk for multiple sclerosis, the actual relationship between the viruses and the disease remains a mystery, one science is still trying to solve in order to find a breakthrough prevention or treatment for multiple sclerosis. On the flip side, those with multiple sclerosis may have harsher reactions to viruses than those who don’t suffer from MS. This is because viruses tend to exacerbate symptoms of MS, which could lead to discomfort or could trigger a full relapse of symptoms. In a patient with multiple sclerosis, the immune system is already compromised by the malfunction that causes the attack on the nervous system. Therefore, it’s not strong enough to stave off every bacterium and virus that comes along, with far fewer resources and less strength than the immune system of someone with “normal” functionality. Therefore, it would make sense that someone with MS would fall ill more easily than someone who doesn’t have the disease, and that symptoms of the illness would be more severe and last longer than in the average individual. It’s crucial for MS patients to get treatment for viruses as soon as possible in order to avoid a potential relapse and further damage to the CNS. 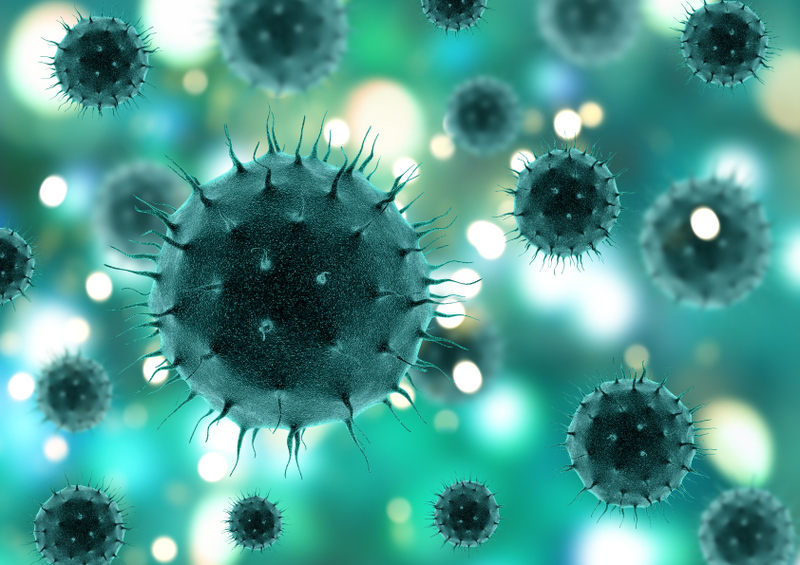 While the exact role viruses play in the development of multiple sclerosis is yet to be determined, it is known that they correlate in some way, especially the strains of herpes virus that cause Epstein-Barr (mononucleosis) and potentially chickenpox. At the same time, the cause can’t be direct without some sort of susceptibility to MS initially, or a vast majority of the population would have MS.
Knowing the risk factors for multiple sclerosis can help determine if having been exposed to EBV will more likely cause a problem for you, since those who fall into specific categories may be more susceptible to MS to start with.